Two groups representing nearly a million members of male and female religious orders plan to present Pope Francis with a proposal concerning women’s role at future synods. The campaign to secure women a greater role in the Synod of Bishops is gaining momentum. The latest development is that two groups representing nearly a million religious – both male and female – plan to present Pope Francis with a proposal concerning the role of women in the Synod. The Union of Superiors General, representing about 185,000 priests and brothers, and the International Union of Superiors General, representing about 600,000 sisters and nuns, are working together on the initiative. According to NCR, a member of the Union of Superiors General executive council, Br Robert Schieler, one of two non-ordained religious brothers serving as members in the Synod on Young People, said the proposal aims “to consider how, in future synods going forward, we can get more voice from the sisters”. He told NCR that the two umbrella groups plan to ask the Pope about both participation of more women religious and the possibility of giving those who take part the power to vote in the discussions. Although seven women religious have been allowed to take part in the Synod on Young People, they are serving in non-member roles, and they are not allowed to vote on the gathering’s final document. Br Schieler said that members of his umbrella group, the Union of Superiors Generals, had asked synod officials about the discrepancy of allowing non-ordained men but not non-ordained women to have a vote at the gathering. 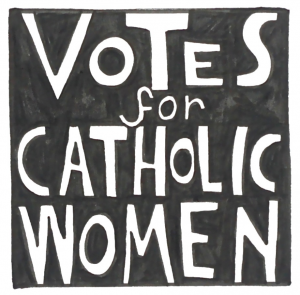 Meanwhile, Women’s Ordination Worldwide (WOW) has launched a petition calling for votes for the women religious superiors general who are present at the Synod and a pathway for all women to vote at decision-making bodies within the Vatican. Noting that two religious brothers but no religious sisters are voting members at the current Synod on youth, WOW has urged bishops, cardinals and the Pope “to make a path for women religious superiors to work and vote as equals alongside their brothers in Christ at meetings of the Synod of Bishops”. The XV Ordinary Synod of Bishops on Young People, the Faith and Vocational Discernment brings together bishops, auditors and experts from around the world to collaborate and discuss the needs of the Church. Voting on the final documents at these meetings was reserved for ordained men until 2015, when one religious brother (a non-ordained man) was given permission to vote. 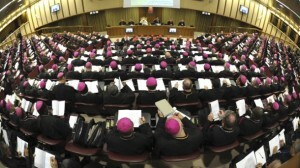 Noting that the number of non-ordained men attending this year’s Synod gathering in Rome has doubled, the petition highlights that two non-ordained male religious superiors have permission to vote on the documents which, if approved by Pope Francis, could become ordinary magisterial teaching. “Representation from non-clerics adds diversity to one of the institution’s primary decision-making bodies and helps the Church move closer to the essence of Pope Francis’ Apostolic Constitution Episcopalis Communio which aims to more directly involve the People of God,” the petition organisers said. While they welcome votes for non-ordained male religious, WOW said it does not go far enough. Women religious outnumber male religious. In 2016, there were 659,445 religious sisters worldwide and 52,625 religious brothers (CARA). The petition is to be delivered to bishops, cardinals, and all voting members attending the Synod in Rome, as well as to Cardinal Lorenzo Baldisseri, the Secretary General of the Synod of Bishops on 18 October. Separately, 11 youth ministry directors from across Ireland have flown to Rome for a series of meetings with Archbishop Eamon Martin and Bishop Donal McKeown who are attending the Synod on Young People, Faith and Vocational Discernment from 3rd to 28th October on behalf of the Irish Catholic Bishops’ Conference. The Irish delegates will meet today at the Irish College in Rome, where they will be updated by the bishops on the progress of the Synod. They will discuss the implications of the Synod in the Irish context of evangelisation and the challenge of faith promotion among young people. The Irish delegation also hopes to meet with representatives of the Bishops’ Conference of England and Wales to share further experiences and insights from the Synod. The meetings will conclude with a session that explores the feasibility of building a national support network for young ministry and young adult ministry in Ireland.